Cosmic Stallion - "The party bike you can also rip on." 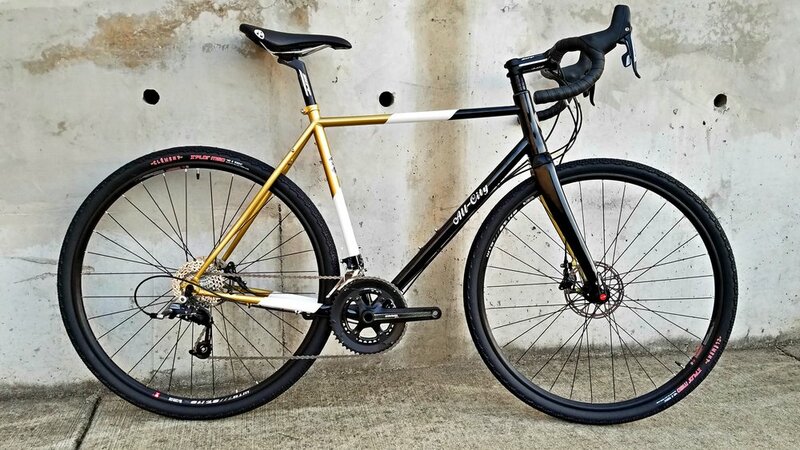 Ryan took this bike out to our local grassroots event, the Harris-Roubaix, this past weekend. Ryan was pretty stoked on this bike - it has a comfortable endurance geometry without sitting too upright; it clears big gravel tires, but still feels like he could take it out to one of our local weekly fast rides to shred the pavement. We think he's going to have a hard time bringing the bike back to the shop! If you'd like to demo our Cosmic Stallion, hit us up or stop by! Visit our demo bike page by clicking HERE!